Q: What can I do about sky-high summertime humidity in our house? The building is 35 years old and sits entirely on a concrete pad. Humidity is fine in winter, but in the warm months we smell mildew in the carpeting if we don’t run a dehumidifier constantly. My plan is to dig around the perimeter of the house and install 2″-thick x 12″-wide pieces of rigid foam against the concrete foundation, then put the earth back. Will this work? A: I’m sorry to say that your plan probably won’t do much good. In fact, I’m certain it won’t. That’s because the source of your trouble is almost certainly the cool temperatures of the soil underneath your floor. It’s this that’s causing the floor to become cool enough to cause warm, moist summertime air to condense on the concrete, forming droplets of liquid moisture within the carpet. This is the same dynamic that makes basement floors especially prone to mold and mildew during summer and it’s always worse when carpet is on the floor. My theory about your situation is especially likely given the age of your home. 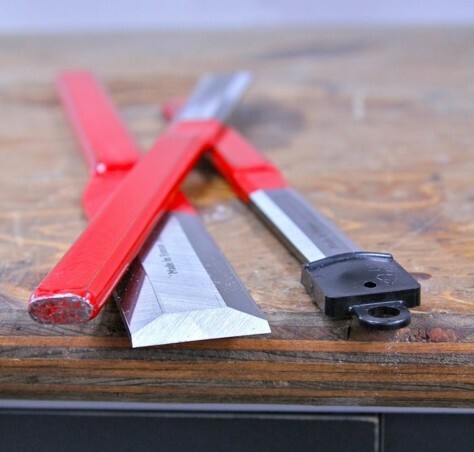 When contractors installed slab-on-grade floors like yours in the early 1970s and 80s, they rarely put meaningful amounts of insulation underneath the concrete. Many homes have no insulation under the slab at all, so the floor is picking up all the coolness of the earth. It’s this coolness that’s triggering condensation. So what can you do? The trick is lowering indoor humidity levels, and though a dehumidifier will do this, air conditioning is more efficient. It pulls more moisture out of the air for a given amount of electricity consumed than your dehumidifier, and AC doesn’t add extra heat to your home at a time of year when you probably don’t want heat. If you don’t have a heating system built into your concrete slab, you could add sheets of rigid foam insulation on top of the floor before new floor covering goes down, but that’s a big job best left for major renovation time. Even removing the carpet and replacing it with hard-surface flooring would help. 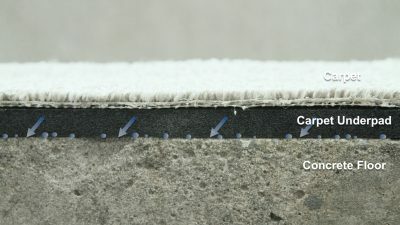 The presence of carpet allows the air to become cooler in contact with the concrete, encouraging much more condensation. The carpet also provides food and a friendly environment for mold and mildew to grow. 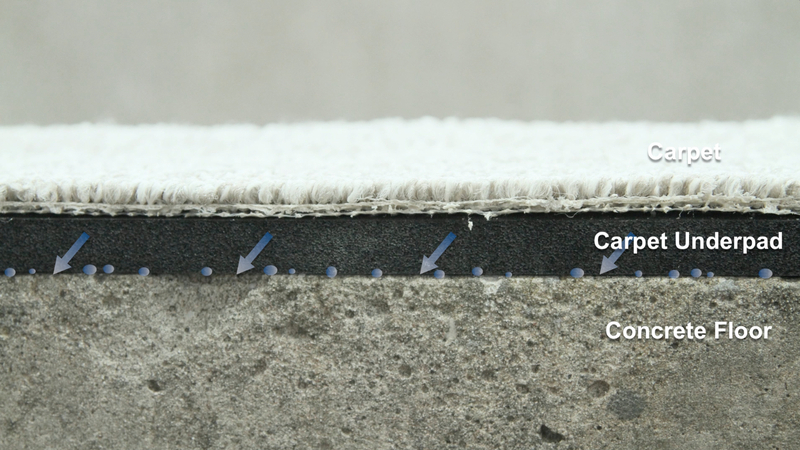 Click below to watch a video animation of how cool concrete floors can cause mildew and mustiness to grow inside carpet pile and underpad during damp times of the year.